Wilmington, North Carolina is a strategically positioned port city that benefits immensely from its beach access. It serves as the main hub for the entire state to receive goods by ocean trade. That said, the city’s economic outlook is in good standing and continues to support a healthy housing market. According to Realtor.com, the average home price in the Wilmington real estate market is approximately $389,651. Surprisingly, the region’s home values are 61.9 percent higher than subsequent sold prices. The average sold price is about $240,720, according to MLS data. With such a big difference between values and what homes are actually selling for, Wilmington is a strong buyer’s market. The amount of available inventory exceeds current demand. Buyers have the advantage over sellers due to the abundance of homes on the market, with homes often selling at reduced prices. Information provided by Zillow suggests that homes in the Wilmington real estate market have appreciated by as much as 2.8 percent in the last year. 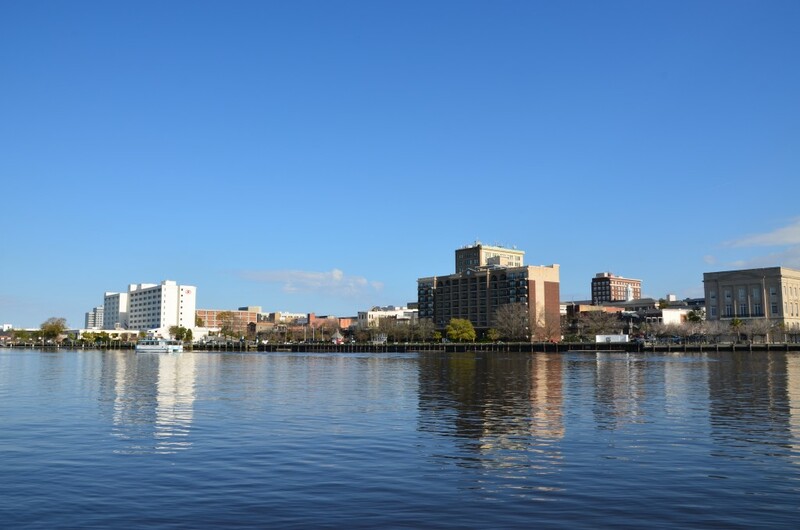 Wilmington’s appreciation rate is, however, less than half that of the national average last quarter. Experts expect the coming year to continue a trend of positive price growth, albeit a slightly tempered one. In the next 12 months, experts expect homes in the Wilmington real estate market to appreciate a modest 2.1 percent. Wilmington real estate is only a part of the 3,396,382 properties and 84,666 homes for sale in North Carolina. As a result, the average home price and average home value of Wilmington also influence the average home price ($206,862) and average sale price ($222,875) of the entire state. That said, homes in Wilmington bring up the average value of North Carolina real estate. Surprisingly, Wilmington boasts a very competitive renters market. Rental property is in high demand and availability is low. Rent prices have not changed over the past 3 months. This is 8 percent lower than the county average of $1,324 and same as the state average of $1,218. Those that do turn to renting should expect to pay about $1,228 a month in rent. According to RealtyTrac, the Wilmington real estate market has about 275 homes in some state of foreclosure. The overwhelming majority of these properties are either in default, bank-owned or up for auction. That said, those interested in Wilmington real estate investing should see each of these homes as an opportunity to acquire a deal. Distressed properties in the Wilmington area have increased 27 percent in the last month, but nobody could have predicted the amount they would jump in just one year’s time. Over the course of 12 months, foreclosures increased a surprising 833 percent. Most of the distressed properties in the city are in a state of pre-foreclosure, meaning respective homeowners are falling behind on payments and at risk of falling into foreclosure. Nonetheless, financially strapped homeowners could serve as a great source of deals for anyone thinking about Wilmington real estate investing. Of course, in addition to availability, savvy investors are likely more interested in the discount each of these properties offer. Distressed properties in the Wilmington housing market are discounted approximately 11 percent, or just over $17,000 per property. Wilmington, North Carolina continues to demonstrate an increased propensity towards business development. In fact, NerdWallet, an online financial education and empowerment leader, recently ranked Wilmington as the second best place to start a business in the country. It is not hard to see why: Wilmington has a growing population, a strong tourism industry, and is within close proximity to the beach. Perhaps even more impressively, the city boasts nearly 15 unique businesses for every 100 people. Job growth is expected to piggyback off of local metros, and should see an impressive run in the coming years. As a popular port city, Wilmington could benefit from the huge aerospace push expected to hit Charlotte. Several aerospace companies have expressed interest in the region, which should only contribute to an already strong job sector. The city of Wilmington has experienced a steady recovery, and looks to be able to sustain its current path. Of particular importance to the area’s recovery, however, is tourism. Last year, visitors to Wilmington accounted for the creation more than 80 percent of net jobs. In addition to tourism, the healthcare industry has solidified its presence in the Wilmington area. Of course, as with any major city, Wilmington is not without concern. The same low cost of doing business that draws in new industries, is also responsible for an income growth that lags behind the rest of the country. Another chief concern is the city’s seasonal dependency. With an industry based heavily on tourism, macroeconomic conditions can swing quickly. There is no denying the area’s viability during summer months, but winter can leave Wilmington susceptible to shifts in economic conditions. For all intents and purposes, the Wilmington real estate market has made great strides since the worst of the recession. Home prices have shown sustainable growth and the job sector looks to be able to handle the growing population. There is little to suggest that Wilmington won’t prosper in the coming years.